Welcome to Tricked Out - Team Land Rover! When it come to making your own path in life, nothing can out maneuver these versatile vehicles. If you are looking for other auto enthusiasts and lovers of all things related to Land Rovers & Range Rovers, Team Land Rover is a great place to check out. One of the many exclusive systems utilized within TOCC is our teams. With our club organized under various teams, it allows Team Land Rover to be exclusive to the Land Rover brand while belonging to an all inclusive international auto/truck enthusiasts club and resource center. As a club, we work hard to keep the Land Rover information credible and informative while enjoying our rides and hanging out. 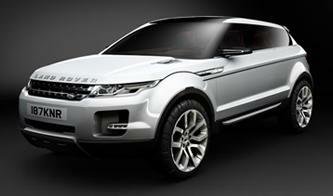 We pretty much like all things related to the maintenance and modification of Land Rover vehicles. When the show season is active, we hit them up or enter our rides and learn more about the diverse styles and beauty of each vehicle. Rover Parts - Land Rover parts. Rovers North - Land Rover parts. Range Rovers - Enthusiast's webpage. P38 Spares - P38 parts only.